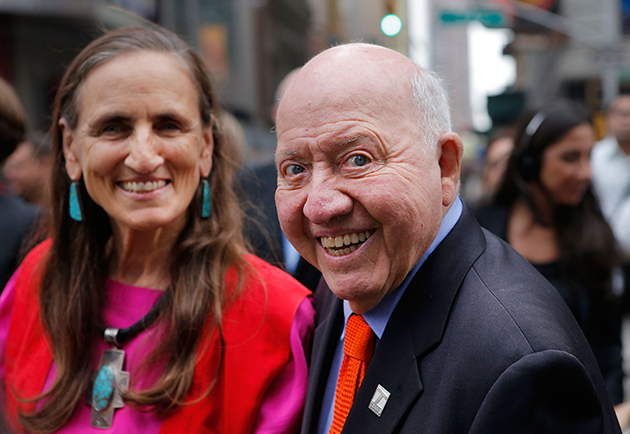 Honoring veteran sports journalist Bud Collins, who passed away on Friday at the age of 86. Let’s start with the pants. Those loud—yes, sometimes hideous—crazy-quilts that became as much the wearer’s calling card as his incisive, insightful tennis commentary and writing. They were conversation starters but they were so much more than two-legged novelty acts. Like the owner, they were fun and quirky and generous in spirit. They both conveyed a point that tennis was playful, not pretentious. Plus, each pair told a story. And no one could spin yarns like Arthur Worth Collins—Bud, as he was presciently nicknamed as a boy. 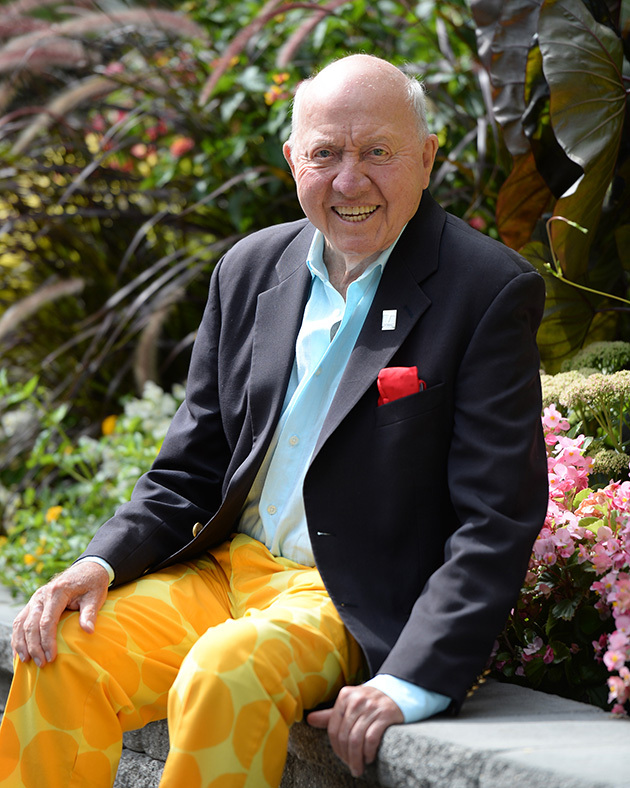 Collins, who passed away at age 86 at his Brookline, Mass., home, was one of a kind. They say dress for the job you want, not the job you have. But for this guy, those two were one and the same. Bud covered everything and everyone, from Muhammad Ali and Ted Williams to the Vietnam War. And, yes, he has an inventory of stories for each assignment. But his real passion resided with tennis—he was once a national champ—and that’s where he ultimately settled. He covered the sport like no one before or since. Funny but smart. Sometimes earnestly, other times lightheartedly. He embraced the sport’s history—and famously wrote an entire tennis encyclopedia. But he was also progressive, rooted in the present and future. Bud also is credited with being the first sportswriter to make the transition—seamlessly—to television. By decades, Bud prefigured everyone from Tony Kornheiser to Stephen A. Smith. Every scribe who makes a few extra shekels working in television, owe a special debt of gratitude to Bud. Even as a t.v. star—and make no mistake, at the height of the tennis boom, he was a star—Bud never stopped writing. He said it himself: he was never more comfortable than he was in the press room, staring at a blank sheet of paper and later a blank screen. Invariably he’d work his magic, and come up with a dispatch or a profile as well reported as it was well written, his prose as colorful as his trousers. 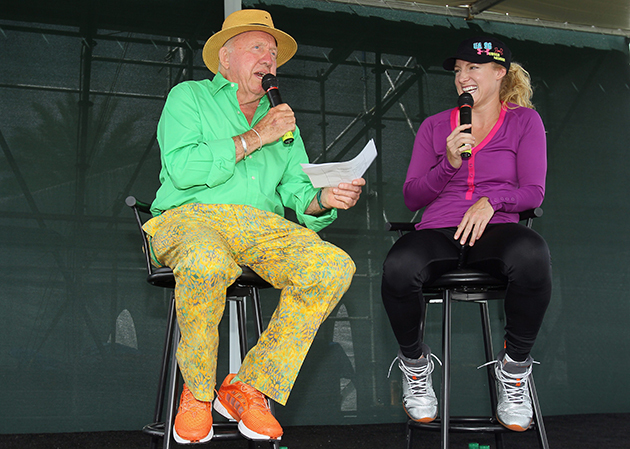 In September, the USTA christened the media center at the National Tennis Center in Bud’s honor. In-fighting and petty land-grabs are to tennis what heartbreak is to country music. A central theme. Tennis is, to quote Bud Collins, the sport that insists on shooting itself in the foot while cutting off its nose to spite its face. But this dedication? It was a rare tennis decision that was met with zero objections. It’s a fitting honor that Bud, bless, was able to accept before his passing. But we all know this truth: it just made official what was always tacitly understood. It was Bud’s room. The rest of us were just fortunate to be in his company.